Yesterday, we were all awe struck as we heard about the explosions that shook the Boston Marathon finish line. While there is still no official indication whether this incident was perpetrated by a lone offender, violent extremist group, or state-sponsored organization we know that it was terrorist act against the city of Boston. Since, September 11th, 2001, local, state and federal law enforcement and public safety officials throughout the US have been working vigilantly to deter, detect, prevent or disrupt further attacks. We can all be more aware of our surroundings. Do not ignore your feelings of uneasiness about a person or circumstances you may encounter. 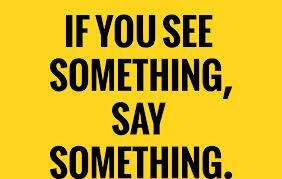 If you detect someone or something abnormal or suspicious, take the time to contact police and have the situation checked out. Imminent threats should be reported to 911 (or your local number). Never attempt to avert suspected terrorist activity yourself. Consider all potential terrorists to be extremely dangerous, and do not act except to report the incident to law enforcement officials. This video created by The Cell (The Center for Empowered Living and Learning) in partnership with State of Colorado’s Governor’s Office of Homeland Security & Department of Agriculture, The Colorado Information Analysis Center and The Federal Bureau of Investigation is a great way to inform our citizens in how we can make a difference in the fight against terrorism.